Catherine Witt's main focus with all age groups is to make a connection through artistic creativity and self-expression. Catherine can lead residency activities involving a diverse array of media. In residencies that focus on creating glass mosaics, she incorporates pre-cut glass in beautiful colors that allow students to safely create amazing works of art. Safety and careful instruction about the use of materials are a priority, and Catherine has led classes for children at all grade levels from kindergarten through eighth grade. She also has experience in teaching clay technique and history, the history and fun of the potter's wheel, history and art of beginning sewing, beginning drawing skills, and puppetry. Sewing may be incorporated with a theme such as Nebraska History or Dinosaurs, etc. Puppetry and puppet theatre allow children to create and be the author of their own plays. Beginning drawing skills will teach them the drawing secrets of learning to draw animals, nature, animation and self-portraits. Any of the above lessons can be taught with small or large groups. 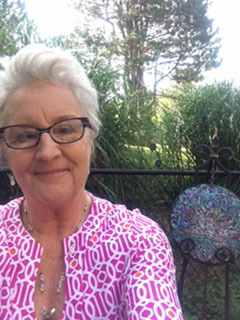 Catherine’s experience includes many years as the art specialist in grades k-8 for an Omaha parochial school, as well artist residencies with individuals who have disabilities. Catherine is also Coordinator for the Young Artist Exhibition held in conjunction with the Omaha Summer Arts Festival; an arts and education based festival exhibiting youth art in grade levels 6-12.